Proprietary Name: She Xiang Zhuang Gu Gao What is the Proprietary Name? 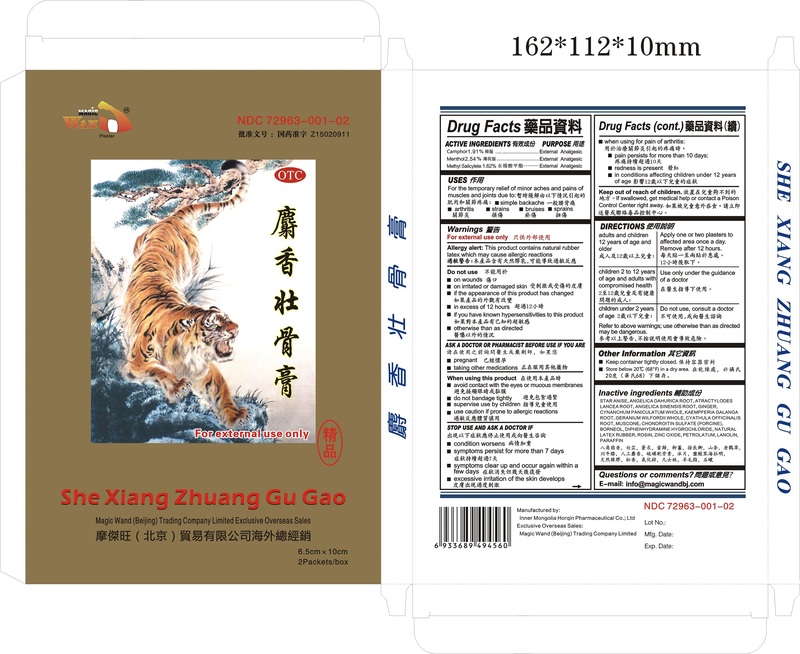 She Xiang Zhuang Gu Gao with NDC 72963-001 is a a human over the counter drug product labeled by Inner Mongolia Horqin Pharmaceutical Co., Ltd. The generic name of She Xiang Zhuang Gu Gao is camphor, menthol, methyl salicylate. The product's dosage form is plaster and is administered via transdermal form.